Today again I am very happy to have a new designer on my blog. Elettra Gausman, owner and designer of Orage Creations (OC). A special honor it was, as I was chosen for a couple of vendor pictures done by Nala Kurka. The designs I was allowed to pose for the vendor pictures are both new and available at the OC Mainstore. 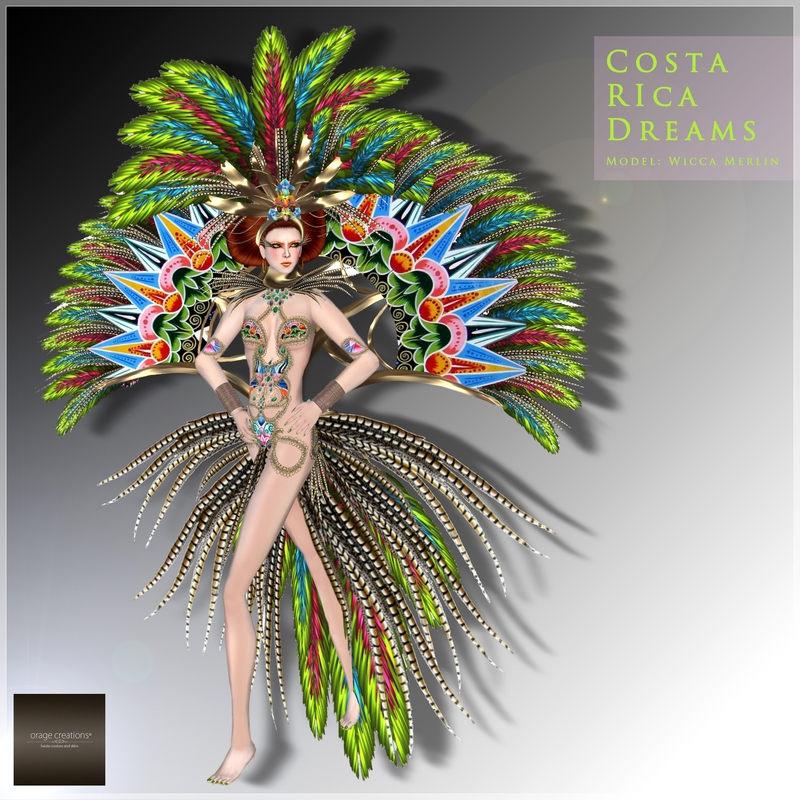 I only had to add hair – I chose one of Loovus Dzevavor, that did not disturb the headpiece too much but still added the flair I wanted for it – and the Orbital bangles from blackliquid. The longer I tried to find shoes the more the though of being bare foot for this shoot grew in my head and I finally decided to go without any shoes 😉 So the wonderful collar and the white diamond looking 3 wing lashes are as well part of the outfit! 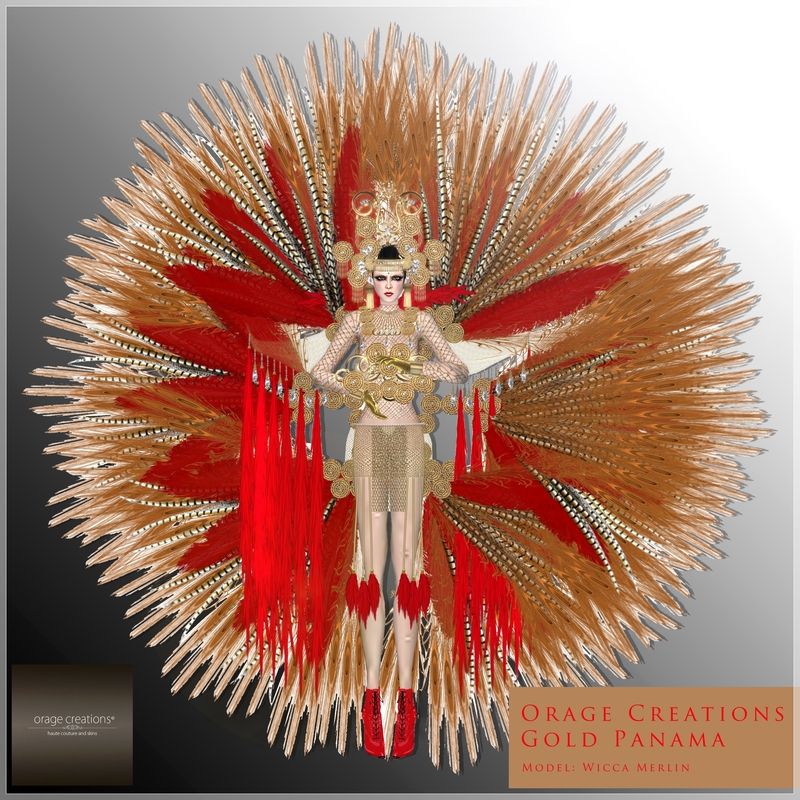 To see all the new releases of Orage Creations you better take a look for yourself at the OC Mainstore! This entry was posted in Fashion, New Releases and tagged *OC*, 3D, 3D people, Art, avatar, blackliquid, Blog, Blogger, Clothing, Couture, Elettra Gausman, Fashion, Fashion in Pixels, fashion poses, Female Clothing, female wear, Formal, formal attire, Hair, High Fashion, Jewelry, Loovus Dzevavor, meta virtual, Model, model pose, Model Poses, Modeling, Modeling pose, Modeling Poses, Nala Kurka, New, New Release, New Releases, News, Orage Creations, photographer, Pose, Second Life, Secondlife, SL, SL Clothing, SL Fashion, SL Style, Style, Virtual World, Wicca Merlin, woman. Bookmark the permalink.